We have recently discussed the benefits of diet, in particular the various protein supplements on the market that help with weight control, muscle development and all round exercise. Of course, simply taking the correct supplements and having a well-balanced diet is not a solution on its own. Swimming is seen as such a good form of exercise because it effects the whole body, from strengthening muscles to increased metabolism, calorie burning to an aerobic workout, Swimming does it all at once. This holistic form of exercise is an efficient way of using what for many of us is limited time, providing wide ranging benefits each and every time. Swimming is also a low impact form of exercise, the water supports your body and removes any impact force from the exercise, and brings less wear and tear on your body for a given amount of aerobic activity. Indeed, when in water, gravity itself is almost neutralized, removing all pressure from joints. This means that you can swim regularly, even every day if you wish, without detriment to your body. Experts see swimming as an almost perfect aerobic exercise for this reason, Joel Stager Ph D. of Indiana University for instants, notes that unlike running or strength training, it is an exercise that can be done daily. Swimming is suitable for a wide range of situations, for pregnant women it is a great way to keep active, and is commonly used by athletes returning to training from injury. In both cases the more gentle, low impact yet still aerobically effective nature of swimming being the chief benefits. A swimming program is a great way to rehabilitate after injury, or for older people where joints are not as strong as they once were, a really effective replacement for running as part of a daily exercise routine. As we have discussed, swimming is used in a wide range of programs and situations, but we can separate them into two broad categories, exercise and weight loss. We will now look at both in turn to see how to obtain the most benefit from using swimming. Swimming is excellent for exercise, it is an aerobic workout that helps with general conditioning and fitness, but is also highly effective for developing muscle tone and can help with lung capacity as well. Water is around twelve times as dense as air, this means that swimming is a constant resistance exercise, pushing through water takes far more effort than moving through air. This is why, as a form of exercise, swimming is so effective, it multiplies the effort put in, and the results that are produced. Not only is the effort intensified, but swimming itself is a whole body activity, providing not just a meaningful aerobic workout, but significant strength training as well. Constant resistance due to the density of water provides muscles all over the body, and especially arms and legs, with a constant, high resistance workout during the swim. The added density of water is also felt in the lungs, which have to work harder against the water pressure for each breath, and because it requires an entirely different way of breathing (timed for when your face is out of the water for obvious reasons rather than gulping in air when you need when running), it also aids in respiratory development as well. A similar story can be found in the cardiovascular system, which itself has to work harder, with body temperature kept lower in water, and the body stretched out to its maximum, the heart works harder to push the blood around the body. This enhances the effect of the aerobic exercise and also contributes to the increased levels of fitness that swimming brings. As a complete exercise swimming is one of the most comprehensive you can try, for building fitness, cardiovascular and respiratory improvements as well as toning muscle in the whole body it works really well, at the same time being low impact and reducing stress on joints. In addition to the muscle toning and other fitness benefits, swimming is also an excellent way to help with a weight loss program. The density of water, which is twelve times that of air, means that the effort involved in exercising for a given length of time is higher, and this equates to the body consuming more calories. This, as a part of a weight control diet, can help you lose weight over time, and the added health benefits, especially for the cardiovascular system, help increase fitness as you go. The good thing about swimming for weight loss is that it is an easy activity to start slowly and build on, swimming for a minute without stopping, resting and swimming again until you have managed 30 minutes of swimming is an excellent way to build your fitness and burn calories. Some people will be able to go much further from the beginning of course, but for those who are unfit, swimming is a flexible activity that you can start very slowly and still gain something from at the same time. Swimming burns a lot of calories, between 500 and 800 per hour of activity depending on the individual, so those small 30 minute swimming beginnings quickly add up, and with fitness and health improving as you go, full 60 minute swims are not far away. An excellent way to lose weight as part of a weight loss program, swimming is in many ways a more efficient and effective exercise than running for those with lower fitness levels or who have other illness, injury or problems. The low impact nature of swimming makes it somewhat unique in this regard, and for those who are a little older, brings many benefits over other exercise. There is one warning with swimming for weight loss however, the University of Florida’s study on the effects of swimming for exercise and weight loss notes that there are a few people whose appetites are increased after a prolonged exposure to the colder temperatures of water, which led to binge eating after a swim and weight gain overall. If this affects you, the key is to be aware of the effect and rake control to avoid overeating after the exercise. Now you have an understanding of the many benefits of swimming, whether for weight loss or overall fitness and muscle tone, it may be something that you wish to try. But what happens if you have never learned to swim? Don’t worry, it is never too late to learn to swim, and wherever you are there is a support structure in place to help you. The important thing is to take action and go out and learn, adult swim classes are available everywhere, they represent the very best way to take up swimming quickly, safely and in a fun, encouraging environment. One of the main reasons many of us never learn to swim, and make excuses to avoid learning to swim even if it’s something we know will benefit us, is a fear of the water itself. Overcoming that fear, and the nervousness of swimming that it causes, is one of the biggest challenges when it comes to learning to swim. The important thing is that it can be overcome, and adult swim teachers are experienced in dealing with just this problem. It is not something you want to tackle alone, a good instructor will be able to help you overcome your fear, by gradually introducing you to the water in stages, very shallow, just around your feet to begin with and moving on from there as you get used to each situation. Take everything at a pace you feel comfortable at and you will be able to overcome that nervousness and learn to swim yourself. The key to faster swimming is technique, many people think simply kicking harder, pulling harder on the arm stroke will do it, but if the technique is inefficient, it really won’t make a lot of difference. Technique is all about reducing drag, making your motion smooth and your body streamlined, and this is how you get faster. Head position is important, looking down and lifting only to breathe, in tandem with this, keeping the body horizontal through the water is the best way to reduce drag and gain speed. When kicking, your feet should never break the surface of the water, as this creates drag and actually slows you down. The last aspect is arm movement, ensuring that the hand is positioned to maximize the thrust from its backwards movement as you pull yourself through the water. This all may sound a little complicated, but in reality, it is down to practice, the better you get at the mechanics of swimming itself, the faster you will be. As we have discussed, swimming is a great exercise, both for those looking to maintain fitness and increase muscle tone, and for those looking to lose weight. The other aspect to swimming that people love is that you do not require much in the way of equipment. Your swimming costume, a cap if you have long hair, swimming goggles to protect eyes and perhaps some ear plugs. With this in mind, we take a look at the best options out there for your equipment. Caps to keep long hair out of your face are the first products many people need. Designed to fit swimmers with longer hair. Resistant to snagging and tearing and extra durable. Quick and easy to take off without snagging hair. Silicone allows the head to breath for a more comfortable fit. 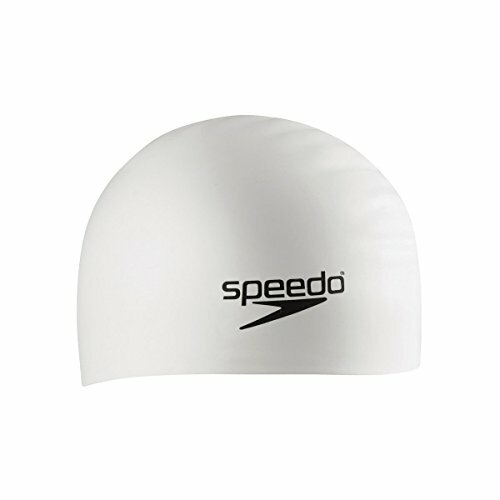 Our first cap to look at is the Speedo Silicone Long Hair Swim Cap, this is the number one rated swim cap on Amazon, and for good reason. It is a one size fits all style cap, flexible enough to accommodate most adults, as it can stretch to more than double its original size. Made from silicone that allows the head to breathe it is well made, comfortable, and is purpose designed for swimmers with long hair, being easy to put on or take off without snagging, as one reviewer noted, “I have mid-back-length hair that is very thick, and most swim caps just pop off my head. This one actually covers my entire head, forehead to nape (including ears) and has plenty of room for my hair”. Enjoy your swimming experience without worrying about your long hair. You won’t have to think about overpressure or water getting into your ears. Made with premium high quality non-slip materials and easy to put on. Risk Free 90 days money back guarantee. Caps are designed for both men and women with long hair. The second cap we can see is the Premium Silicone Swim Cap for Long Hair + Nose Clip, another purpose designed cap for those with long hair. One size to fit all, this silicone cap is breathable for comfort and designed to be easy to put on and take off without snagging. 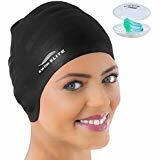 The added benefit of this cap is that it comes with a free pair of quality nose clips for the ultimate package for swimmers. This cap has been popular with reviewers, as one suggests “I love this swim cap — it fits snug without being so tight that I feel like my eyes are going to pop out. I didn’t have to take forever to get it on my head. It has a lot of room so if you have long hair (or just a ‘bigger’ than normal sized head), this really is a great product”. Swimming goggles help protect eyes and aid comfort during swimming, our best two picks for your next pair start with the Speedo Hydrospex Swim Goggle. PVC Frame & Silicone Strap with Speed Fit Headstrap System. One piece hypoallergenic flexible frame. Eyeglass quality, shatter resistant lexan lens. 95% UV protection & anti fog. This well made, well designed pair of goggles bring everything you need for comfortable swimming. 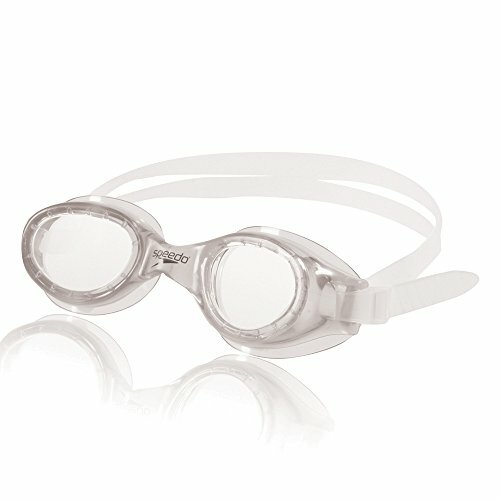 These one size fits all swimming goggles are extremely comfortable, with one reviewer noting that “Very comfortable to wear, keep the water out completely, do not get foggy (I ordered the black ones), and do not hurt at all.” A complete package that are comfortable for long periods of use and highly effective. The Kayenne with clear lenses are designed to provide the greatest visibility indoors or in low light. One-piece, hydrodynamic microframe made of hypoallergenic Softeril. One-touch, Quick-Fit Buckle for perfect fit with simple adjustments – even while wearing. The second pair are the Aqua Sphere Kayenne Goggle, customizable with various lens and frame color options, these goggles have many advantages. 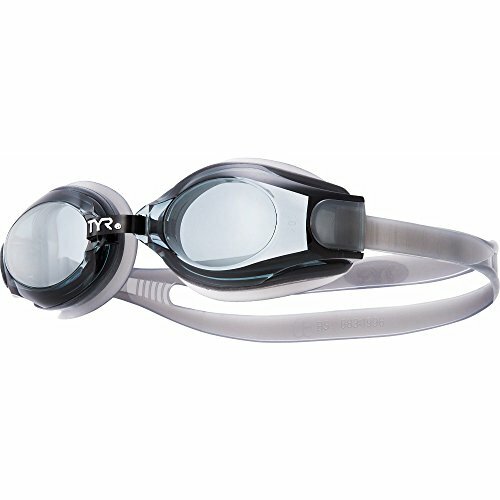 Protecting children’s eyes is doubly important, having goggles designed specifically for kids really helps in this regard, our pick of the bunch is the Aqua Sphere Seal Kid Swim Goggle. Available in a choice of bright colors kids will love, they lose none of the effectiveness and design quality of the adult goggles, providing effective, comfortable goggles that your kid will love. The googles are very good for giving learners confidence in the water, one reviewer pointing out that “ I bought these for my 5 year old son who was afraid of getting his eyes wet and going under water. The perfect package for children. Seeing clearly underwater is a vital component for any swimmer, so for those who normally wear glasses, prescription googles are essential. 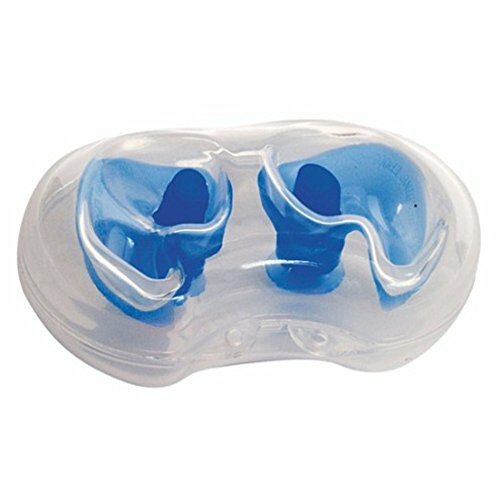 Universal no leak fit extremely comfortable goggle. 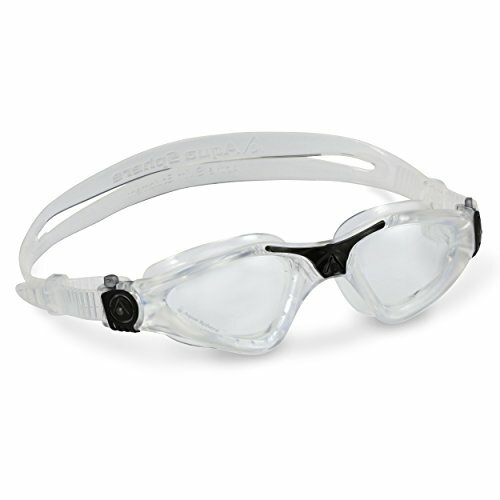 Offers an excellent option for swimmers who need a corrective goggle. Fully adjustable one-size fits all. Wide-angle optical grade polycarbonate lens. Comfortable Thermal Plastic Rubber gaskets. Our first pair are the TYR Corrective Optical Performance Goggle, a well-designed goggle that offers a few unique advantages. With these you can swim without your contacts or lenses, and still see clearly, a comprehensive package that offers everything you could want in a prescription swimming goggle. Swim goggle with custom diopter level designed for extra clarity under water. Hypoallergenic silicone seal for water-tight fit. A soft, hypoallergenic silicone seal is comfortable and completely watertight. The second pair of prescription goggles is the Speedo Vanquisher Optical Swim Goggle, a sleek design with a choice of lens color and plenty of fit adjustment to ensure it is suitable for anyone. Polycarboante lens for durability and eyeglass clarity. Hypoalergenic, soft silicone seals provide both comfort and a great seal. Diopters -1.5, -2.0, -2.5, -3.0, -3.5, -4.0, -4.5, -5.0, -5.5, -6.0, -7.0, -8.0. With this wide range of vision adjustment and great fit options, it is a wonderful goggle for anyone, reviewers noting that “the goggles perfectly correct my vision in and out of the water. These are a must for swimmers who need vision correction”. A very useful goggle that does everything you need, and does it well. Ear plugs are an essential swimming aid for some people who find that the water effects their ears during prolonged sessions. Shaped to fit left and right ears respectively. Features a hollow stem to ensure minimal hearing disruption while swimming. Features a hollow stem to ensure minimal hearing disruption. Today’s range of earplugs is large, but we have picked out two of the best, the first is the TYR Silicone Molded Ear Plugs, using silicone for comfort in a one size fits all, adaptable shape, they are tailored specifically to aiding swimmers. Comfortable to wear, and buoyant so they float if you take one out for any reason, they provide a very useful barrier for water without completely restricting hearing, essential for open water swimming, as noted by one reviewer, “The effect is that your ear canal stays dry, but crucially you are not cut off from all sound. It is just reduced slightly, so you do not feel like you’re swimming in a vacuum”. Highly effective and highly recommended. Macks Soft Flanged Aqua Block Earplug take a different approach, these look different and provide an alternative way of looking at ear plugs. The design helps them more adaptability than others, and provide a water tight seal very easily, although unlike the previous plugs, they do block out a lot of sound as well. For what they are designed to do, however, that is keep out water for those susceptible to infection, they are perhaps the most effective out there. If you don’t mind the loss of sound, these are a unique option for keeping water out.